Rohit Kumar was in fine raiding form and scored 13 points to lead Bulls to a much-needed victory. 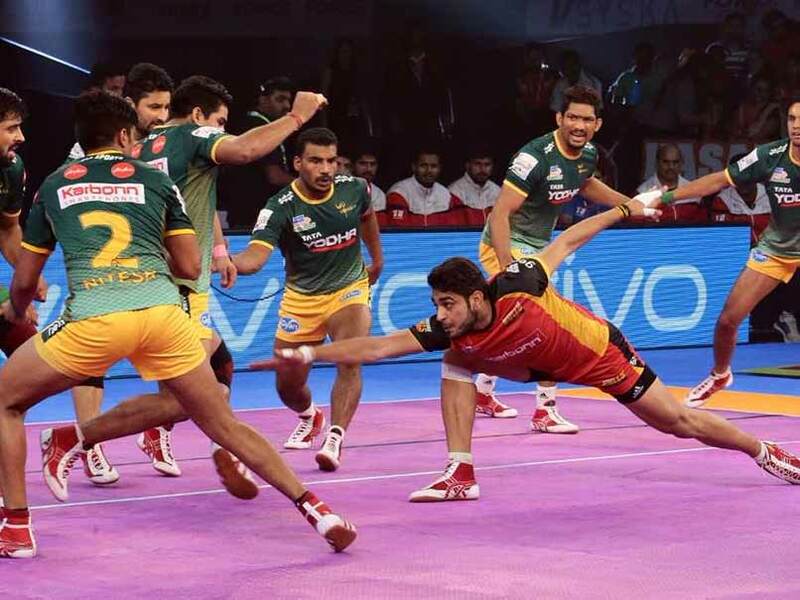 Bengaluru Bulls produced a measured performance to beat UP Yoddha 36-30 in the Vivo Pro Kabaddi Season 5, on Sunday. Despite the loss, UP Yoddha became the sixth and last team to seal their spot in the super playoffs. Mahender Singh was superb in defence and scored 10 tackle points for Bengaluru Bulls. Rohit Kumar was in fine raiding form and scored 13 points to lead Bulls to a much-needed victory. With Nitin Tomar missing, UP Yoddha were reliant on Rishank Devadiga who couldn't deliver. Surender Singh scored 10 raid points for UP Yoddha but didn't get enough support from his defence. Bengaluru Bulls climbed off the bottom of the table in Zone B and are now fourth with 49 points from 20 matches. UP Yoddha is third with 60 points from 21 matches. 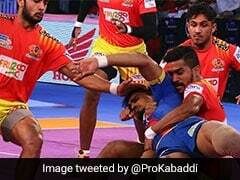 In the other match of the night, Puneri Paltan edged out Dabang Delhi 34-31. It was a disappointing end to the season for Dabang Delhi as they lost for 16th time. Deepak Hooda was the man of the match for Pune and ended up with 10 raid points. Rajesh Mondal also made crucial raids for Puneri Paltan and scored seven raid points. For Dabang Delhi, Abolfazl was the most successful raider with eight points. Puneri Paltan have 73 points from 19 matches and are third in Zone A.
Dabang Delhi's dismal season came to an end as they finished bottom of the table with 38 points from 22 matches.